On 18 December, the Government announced the results of 2018’s badger cull. Sadly, the 2018 total is 32,601 and set to rise with supplementary culling by free-shooting still ongoing in the two original zones of West Somerset and Gloucestershire (see more on supplementary culling here). At this point, the total number of badgers killed since this badger cull policy was implemented in 2013 is a shocking 66,985. The Government published more documents to try and justify their badger cull policy. This was particularly important as these claims are used by Government and the farming industry to underpin the expansion of the badger cull. In November, the Godfray report commissioned by the Government was highly critical of both the farming industry and Government ministers. It revealed that simple measures such as secure fencing to prevent TB transmission aren’t implemented and that this, together with 2 million movements of cattle every year and an ineffective cattle testing regime, is “severely hampering disease control measures“. With the farming industry still blaming badgers rather than putting their own house in order, badgers all over the country need your help. Make 2019 the year that you stand up for your local badgers! On Friday 26 October, police operations for the 2018 badger cull finally ceased in all zones, although a few had finished earlier. We now wait for the official numbers of badgers killed in 2018 to be released by the Government. In previous years, Defra and Natural England publish the figures just as MPs go on their Christmas break which, this year, will be 20 December. 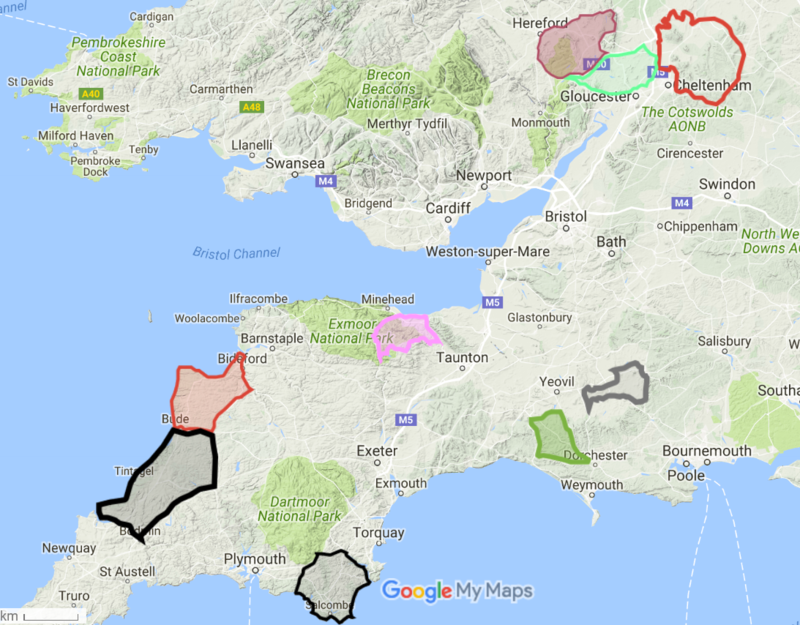 Meantime, it’s important to stress that supplementary culling carries on for the second year in the original West Gloucestershire (Area 1) and West Somerset (Area 2) zones. Essentially, a repeal of the Protection of Badgers Act without a vote in Parliament, this means that the target number of badgers can be killed either by free shooting by licensed cull operatives from 1 June 2018 to 31 January 2019. Or by cage-trapping & shooting by licensed cull operatives between 1 June 2018 – 30 November 2018. In 2017-18, Defra refused to publish the number of badgers killed in these zones, despite Freedom of Information requests, until July 2018 when Defra announced that 172 badgers had been killed in Gloucestershire and 91 badgers in Somerset. Compliance monitoring of these supplementary culls is very limited so it’s vital that more local people get to know and look after setts in their neighbourhood. Badger protection groups in all zones are already out re-checking setts and starting new surveys of setts in anticipation of further expansion of the badger cull zones in 2019. If you really care about badgers, get in touch with your local group and get started now. Defra has announced three public consultations on further expansion of the Government’s badger cull policy. 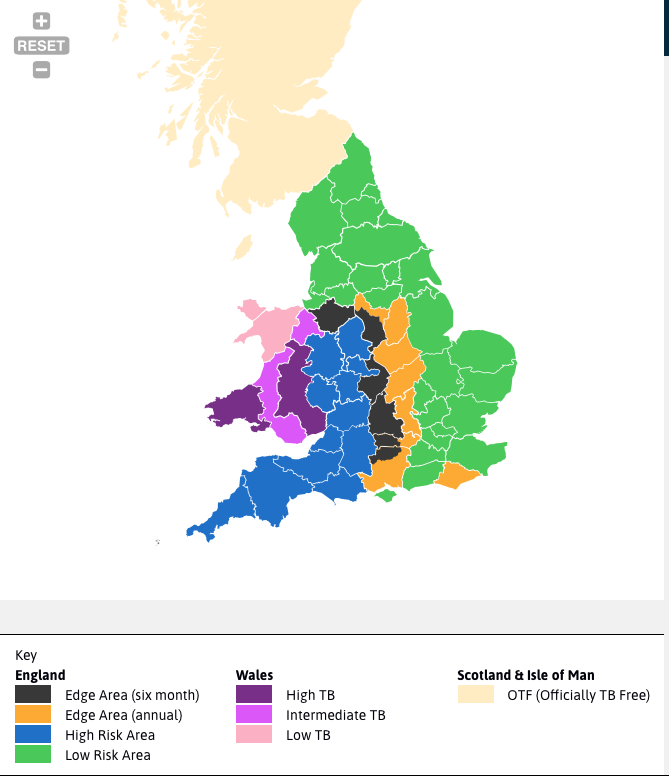 Make no mistake, this signals an intention to cull in an unknown number of areas in eight more counties: Avon, Berkshire, Derbyshire, Hampshire, Oxfordshire, Shropshire, Staffordshire and Warwickshire. This will be in addition to the ongoing culls in Cornwall, Devon, Dorset, Gloucestershire, Herefordshire, Somerset, Wiltshire and Cheshire. Please use it to put your response in your own words otherwise it will not count. There is, of course, much more that could be said, so feel free to add your own thoughts and information. There are two other consultations with deadlines in early April so we’ll post some notes on these later. In 2014, John Lowe fatally shot his partner and daughter in Surrey. In April 2016, the Independent Police Crime Commission ruled that Surrey Police had failed to consider and properly assess information relating to Lowe before returning his firearms. Bearing in mind that the badger cull will be extended to new areas this year, it is worrying that the police watchdog also found the force’s firearms licensing team lacked training and was staffed by people failing to do their duties properly. This is not an isolated incident. Those monitoring the cull have reported breaches of the Firearms Act to the Police on numerous occasions and it’s worth continuing to pursue this option. It is a serious breach of the Firearms Act to use guns and live ammunition to intimidate and threaten innocent parties in any way. Live firing on or across footpaths and public highways is also a breach. During transport, guns must be concealed in the vehicle and not on view. In any incident involving a gun, notify the police by dialing 999 and immediately inform the operator that a firearm is compromising your personal safety. During the last three years, cull operatives have started killing badgers in the cull zones towards the end of August so we assume this will be the start date for 2016’s cull. To keep up to date, join your local group. It’s unlikely that there will be any formal advance notice since the Government and cull companies want to keep the culls as secret as possible. This, despite the recent judgement that urged the Government to be more transparent. After all, it is OUR badgers who, unfortunately, live on other people’s land. Unfortunately despite increasing condemnation from animal welfare groups, conservationists, leading scientists and many members of the public, the Government appears to be bowing to the pressure from the farming industry to roll the cull out into Cornwall, Devon, North Cotswolds and Herefordshire. Since 2011, those protecting badgers from a ‘crazy’ Government policy of culling have done an amazing job in raising public awareness, keeping the issue alive in both the national and local media, and going out into the zones to monitor and bear witness to what Natural England calls an ‘unprecedented’ attack on native British wildlife in modern times. It’s important to bear in mind that there is no badger culling allowed on RSPB, Wildlife Trust, Woodland Trust or National Trust (or their tenants’) land, and there will be many non-participating landholdings within each cull zone. So, if you find an armed person out and about trying to kill badgers either night or day, they may well be committing armed trespass and that’s a criminal offence. Our advice is to ring 999 to report them and to let your local badger group know what’s going on as soon as possible. Help needed in the cull zones right now! YOUR help is needed URGENTLY in the cull zones – the killing will start within the next few weeks. There are various practical ways in which you can give your support – out in the field, at camp, sending supplies etc. Everyone can play their part, regardless of age or ability. Training is provided. If you don’t use Facebook, please contact us here at the Badger Action Network for alternative contact details. Recently news surfaced via Network for Animals that Defra might be TB testing badger carcasses during this year’s cull. As often the case with all things to do with the Government’s badger cull, this is more confusing than it might seem. More than that, it could be a bad thing for badgers living where culls have been carried out in Dorset, Somerset and Gloucestershire. Data from the Randomised Badger Cull Trial (RBCT) shows that TB rates in badgers increased during and after culling. By the fourth cull, in fact, the scientists concluded that the ‘prevalence of infection was approximately double that recorded on the initial cull’. So if Defra tests badgers in the cull zones this year – and yes, it’s the fourth year of culling – it’s not rocket science to guess what the results might be. There is a caveat, though. The culls haven’t been carried out adhering to RBCT methodology so the results could be different. And with no TB testing of badgers in previous years, there will be nothing to compare it to. Going back to hard-won scientific data from the days of the RBCT, it’s noticeable that as TB in cattle rises, infection rates in badgers rise too. The clue is in the name – bovine tuberculosis. Reduce the rates in cattle with more effective cattle testing and controls and the rates drop in cattle, followed by the reduction of TB in badgers. So it doesn’t seem to be a good thing to test badgers for bovine TB right now. Added to that, there’s also the thorny problem of finding out whether a badger that tests positive for TB is infected or infectious. There’s a world of difference between the two and, again looking back at the RBCT data, very few of the badgers that tested positive for TB were infectious. Added to this, who is going to check that the badgers tested by Defra are randomised samples and how thorough will the testing be? Who, indeed, will carry out the testing? And what if the badgers that test positive are actually carrying natural resistance to the disease? So after the initial prevarication about testing badgers for TB at the start of all this, is Defra trying to reinvent the wheel or is there a hidden agenda? Seems that, once again, the Government isn’t as open and transparent on this issue as it could be. So don’t forget our badgers need you more than ever before. Contact us to find out where your nearest local badger protection group is operating.